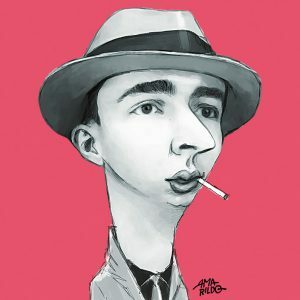 Known as one of the most important names in all of Brazilian music, Noel Rosa was a singer, songwriter, and composer of samba. He was born in 1910 in the traditional Rio de Janeiro neighborhood of Vila Isabel. Due to lifelong health problems and contracting tuberculosis, he died at the age of 26, though not before composing over 200 songs. Noel was also one of the first samba lyricists who accepted requests for help from other musicians. In fact, he partnered with around 60 samba-makers, including Ismael Silva, Cartola, and Ari Barroso. The Brazilian singers that are popular today, such as Caetano, Chico, Ivan Lins, among others, were also very much influenced by Noel’s music. Part of the influence he had and has on others obviously has to do with his natural talent but the other part belongs to the times in which he lived. The country had somewhat recently left slavery behind, it was going through a lot of political changes, “modern” samba was being born, the population was increasing, and, all of a sudden, there were all these new symbols of modernity to contemplate: the automobile, the trolley, the movie theater and, of course, bars. Noel had a lot of material to work with, and he did so while indulging in all these very symbols. Among his many songs was the ultimate hit, “Com que roupa?” (With what clothes? ), which he composed only one year after deciding to be a musician, at the age of 20. There are two versions regarding the inspiration for the song, which was an absolute success during Rio’s 1931 Carnival. Interestingly, both versions were given by Noel himself in newspaper interviews, perhaps as a nod to spontaneity and word play. I ask: with what clothes? to the samba you invited me to? 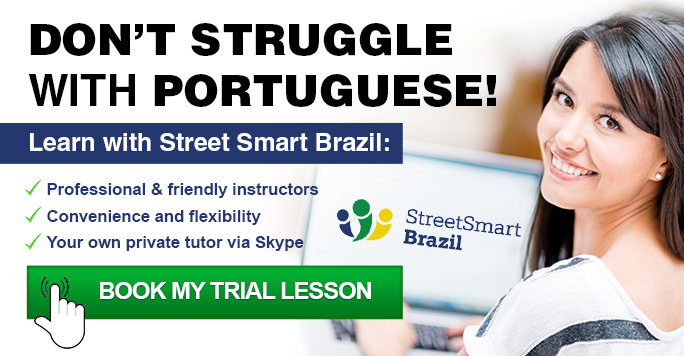 At Street Smart Brazil we have had the pleasure to help clients sing Portuguese comfortably. If that is your goal as well, book a Trial Lesson to see how we can help you sing and speak Portuguese comfortably.